If one is a glass-half-empty type of sports fan, there are indeed a few things not to like at the moment as spring attempts to take a hold on North America, from tone of the best NCAA basketball tournaments — Division 1 men’s and women’s — coming to an end to near-winter like conditions still plaguing many parts of the map and questioning whether we will ever get out of the grip of this deep freeze. (Those people reading this in Las Vegas can stop laughing at us right now about the weather.) But one thing that spring brings us that always is something to look forward to is the vagaries and excitement that only the Stanley Cup Playoffs can create. Starting on Wednesday, and over the next two months, the race for Lord Stanley’s Cup intensifies as the National Hockey League’s second season commences. Great players become legends, super teams become immortalized and, conversely, the championship dreams of 15 teams come crashing down in heartbreaking fashion, but not before some serious drama takes place on the ice. 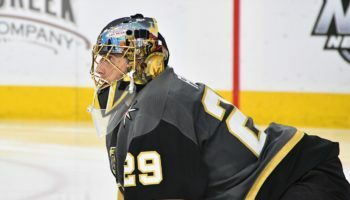 Some storylines to follow during the next 60 days or so include whether the Washington Capitals can repeat as Stanley Cup champions, how well the second-year Vegas Golden Knights do in their second go-round in the postseason and whether the Tampa Bay Lightning can put a championship cap to one of the most dominant seasons in National Hockey League history. Oh, and then there’s the case of the Canadian championship drought, as no team from Canada has won the Stanley Cup since the 1993 Montréal Canadiens. There are three teams north of the American border with a chance to break the ice, and we wonder if one of them has what it takes to go all the way to June and the Stanley Cup Final. Let’s get Cup Crazy, shall we? Actually, let’s start off our playoff preview with a nod to a bunch of jerks. Of all the things to look out for during the first round of the Stanley Cup Playoffs, maybe no one single action has more anticipation awaiting it than the Carolina Hurricanes’ “Storm Surge,” the innovative, diverse and, to many old farts of NHL days of yesteryear, controversial way the Hurricanes have celebrated their victories on the ice after victories at home this season. If you have no idea what all this is about, here’s a quick rundown. After the second home win of the season, the Hurricanes players, after performing the now-customary stick-waving salute to the fans and the now-popular “Skol” rhythmic clap, then skated down the ice full bore before leaping and crashing onto the end boards, thrilling the remaining spectators at PNC Arena in Raleigh. From then on, team captain Justin Williams has orchestrated a number of post-victory schoolyard antics, from bowling to forming a limbo line to setting up a game of “duck, duck, goose” on center ice. Many have loved the infusion of creativity and unbridled childlike joy to the end of NHL games, this author included. Others? Not so much. Former NHL head coach and executive Brian Burke, never one to shy away from delivering a hot take, called the Hurricanes’ post-game celebrations “pee-wee garbage.” Hockey Night in Canada‘s Don Cherry, the colorful and cantankerous institution in hockey broadcasting circles, called the team a “bunch of jerks” during a rant putting down the Hurricanes’ fan support while commenting on Carolina’s unique celebrations. Within hours of Cherry’s on-air excoriation, the Hurricanes’ marketing team announced it was selling officially-licensed “Bunch of Jerks” t-shirts, embracing the title as part of the team’s wide-ranging effort to increase the team’s visibility, including new owner Tom Dundon making sure that the team embraces its Hartford Whalers past by selling Whalers merchandise in the team store and the team wearing the distinctive green Hartford Whalers sweaters during two games this season against their one-time New England neighbor, the Boston Bruins. Oh, and then there is the fact that this iteration of the ‘Canes, which snapped a decade-long drought of missing the postseason, is really good, as they went an astounding 31-12-2 since Dec. 29. Their formula for success, especially during their scorching play since the turn of the calendar, is their puck possession, as they led the NHL in shots on goal per game (34.4) while conceding the third-fewest per game (28.6). Williams is a proven playoff commodity, winning three Stanley Cups (including one with Carolina in 2006), while young star Sebastian Aho had a career-high in goals (30), assists (53) and points (83). The concern is that Aho, who did not score a goal in each of his last 14 games, and the rest of the young Hurricanes might be starstruck by the white hot spotlight that is the postseason, along with the uncertainty in goal to start the series. Both Petr Mrazek and Curis McElhinney are playing well, though neither has had sterling success in the postseason in their careers. 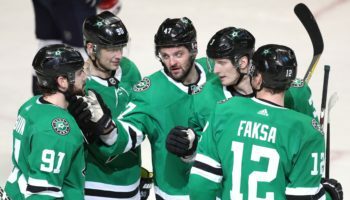 The same cannot be said for the defending Stanley Cup Champions, though they did have to weather a seven-game losing streak heading into the All-Star Break, on their way to another Metropolitan Division title. In a season where other players had to step up outside of the known quantities to legitimately make a run at back-to-back Cups, Jakub Vrana, Brett Connolly and Tom Wilson each posted a 20-goal season for the first time in their NHL careers. And then there’s the Great Eight, Alexander Ovechkin, who once again won the Rocket Richard Trophy and once again scored at least 50 goals in a season (51). Last year’s Stanley Cup Playoffs saw Ovechkin score 15 goals on his way to winning the Conn Smythe Trophy and, given that he has previously stated that he wants to play in the NHL long enough to break Wayne Gretzky’s career goal-scoring mark, one should not put it past him to eclipse those playoff numbers from last season as well. One year after starting the playoffs on the bench, goaltender Braden Holtby, who eventually reclaimed the No. 1 spot after the Capitals lost their first two games to the Columbus Blue Jackets at home and led Washington to the Cup, is the clear first-choice keeper after a solid season. However, Washington’s top defense pairing is in a state of flux after Michal Kempny was ruled out for the rest of the season after left hamstring surgery last week. Nick Jensen has recently been bumped up to the top defense pairing alongside John Carlson and chemistry between the reshuffled defense pairings needs to develop fast before trouble really looms on the blue line. What’s old is new again, and the historic battleground once known as “Fort Neverlose” will have one final opportunity to defend its hallowed turf. For 47 years, the New York Islanders called Nassau Veterans Memorial Coliseum home, the edifice affectionately known as the “Old Barn” that ended up being the hub of the glory days of the New York Islanders when it won 19 consecutive playoff series and four consecutive Stanley Cups from 1980 to 1983. After the 2015 season, the run-down building was abandoned by the team as it moved into the brand-new Barclays Center in Brooklyn, as it was almost a certainty that the Isles would never go back to the place where it became one of the great dynasties in team sports. But sparse attendance and not-so-cozy fan experience concerns at the new digs in Brooklyn (e.g. poor sight lines for many in the stands), plus a recommitment to bring the Islanders back to Long Island via a new facility expected to be completed in the Elmont section of Nassau County by 2021, brought an interesting compromise for this season: the Islanders would play the first portion of their home schedule in Brooklyn, then play the rest of their home games at a refurbished Nassau Coliseum (now branded as NYCB Live). Though the capacity at the Coliseum is not up to the NHL’s standards, the atmosphere created at the Old Barn upon the team returning to Long Island was uproarious to say the very least, and the Islanders were able to carry a good start to the season through the dog days and clinch a playoff spot. Not only are they making their first playoff appearance since 2015, the Islanders’ home-ice advantage against the Penguins marks the first time New York has had the home ice advantage in a playoff series since 1988…or, put in another way, when the writer of this article was five years old, going on six. Better yet, the head coach of the Islanders is also the last coach to hoist Lord Stanley, as Barry Trotz left the Washington Capitals after last season’s Cup run and traded the nation’s capital for the Big Apple. His rigid defensive system became a hit with the team, as New York became the first team in a century to go from last in the league in goals allowed to leading the league in fewest goals allowed the following season. 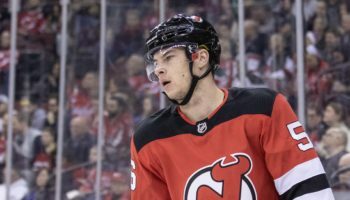 Sacrifices had to be made in implementing Trotz’s system, with leading scorer and second-year NHL’er Mathew Barzal being the perfect example of that. In his Calder Trophy-winning season last season, Barzal, who played in all 82 games in 2017-18, led the team with 85 points (22 goals, 63 assists). 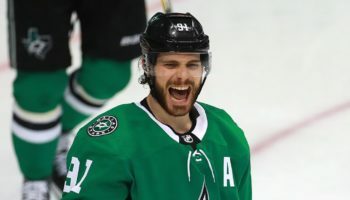 He led the team in scoring this season as well, also playing all 82 games, but put up just 62 points (18 goals, 44 assists) as the center became much more of a complete, two-way player this campaign. It definitely helps your defense when a goaltender situation is as rock solid as the Islanders’, with Robin Lehner and Thomas Greiss combining to help the Isles win the William M. Jennings Trophy for fewest goals allowed. Lehner won 25 games while posting a 2.13 goals against average and .930 save percentage while Greiss won 23 games and posted a 2.28 goals against and .927 save percentage. The saying goes in hockey and football that if you have two goaltenders (or, in football, two quarterbacks), you really don’t have any that you can trust. That’s far from the case on the Island, though we expect Lehner to get the call for Game 1. If styles make fights, as the boxing mantra goes, then the Islanders’ tight-checking, low-scoring style will make the perfect yin to the Penguins’ yang of free-flowing, expansive hockey. Of course, the Pens are led by Sidney Crosby, who posted his sixth-career 100 point season (35 goals, 65 assists). If there is any team that should be deathly afraid of seeing that No. 87 sweater skate around the ice, it’s the Islanders; Since entering the league in 2005, Crosby has scored 113 points (36 goals, 77 assists) in 66 games against New York. Once again, Pittsburgh had to wade through another campaign where injuries to star players, including Evgeni Malkin and defenseman Kris Letang, could have easily seen their streak of making it into the postseason end. But the Penguins are in the Stanley Cup Playoffs for a 13th consecutive season, and Malkin (rib) and Letang (upper body) should be good to go from the first puck drop in the series. ALOST’s Prediction: Because of the Islanders’ great defense in Trotz’s disciplined system, don’t expect too many explosions of goals in this series. New York was 38-2-2 this season when it scored at least three goals (shootout goals included), which clearly sets us up in saying that three is indeed the magic number. (Schoolhouse Rock, anybody?!) Can Crosby once again play the role of the Islanders’ personal living, breathing boogeyman? 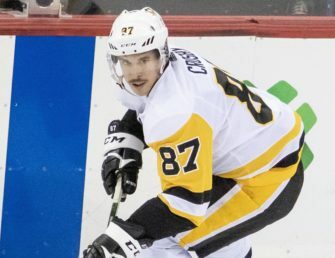 Crosby, plus another good playoff series in goal by a tested Stanley Cup champion, goalkeeper Matt Murray, will be the difference, but ever so slightly. Is the Presidents’ Trophy actually a poisoned chalice in disguise? Let’s get one thing out of the way before we start to answer the question above: the 2018-19 Tampa Bay Lightning may have been the greatest team ever to play during the regular season in National Hockey League history, as they tied the 1995-96 Detroit Red Wings’ league record for most wins in a season with 62. SIXTY-TWO WINS!! IN AN EIGHTY-TWO GAME SCHEDULE!! We’re screaming because those numbers are unreal. UNREAL! Right wing Nikita Kucherov, whose name should already be etched on the Hart Trophy, scored 128 points on the year (41 goals, 87 assists), the most points scored by a player in season since 1996. After the Lightning locked up a playoff spot over a month ago, the team still won 10 of their final 13 games afterward, not letting their collective foot off the pedal and going into the postseason sharp as a tack. Despite all of that, carrying the Presidents’ Trophy into the playoffs could be a cross too burdensome to bear, as you have to go back to 2008 and the Red Wings for the last time a Presidents’ Trophy winner also won the Stanley Cup the same season in a full, non-truncated campaign. (The 2013 Chicago Blackhawks pulled off that double, though that season only featured a 48-game schedule due to a lockout) Even more worrisome, the each of the last five Presidents’ Trophy winners did not even reach the Stanley Cup Final, with four of them losing in the second round of the playoffs. And, if you’re wondering, even those 1996 Red Wings that are now tied with the Lightning with the most wins in a regular season in league history also fell short of winning the Stanley Cup, losing to eventual champion Colorado in the Western Conference finals. Somehow, the team the Lightning are playing in the first round, the Columbus Blue Jackets, may have even more pressure on them going into the postseason. The team made its 2019 intentions known during the trade deadline and, despite the fact that many had expected the Blue Jackets to stand pat or be sellers because of the unrestricted free agent status of star players Sergei Bobrovsky and Artemi Panarin, Columbus turned out to be the most active of any NHL team, adding forwards Matt Duchene and Ryan Dzingel from Ottawa, defenseman Adam McQuaid from the New York Rangers and backup goalkeeper Keith Kinkaid from the New Jersey Devils. 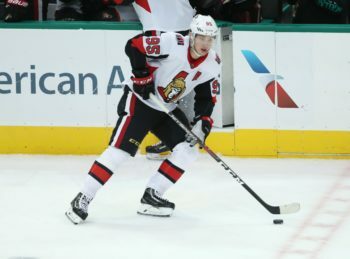 Duchene and Dzingel, like Bobrovsky and Panarin, are unrestricted free agents after the season, so the team’s core could look markedly different whenever their playoff run ends this season. Unfortunately for Jackets fans, every playoff run in franchise history has started and ended in the first round, as four previous trips to the postseason have resulted in a combined 5-16 record and first-round elimination each time. However, winning the first two games in Washington during last season’s Stanley Cup Playoffs, and with most of that team still in tact this time around, should be a confidence boost as it takes on the league’s best team to start these playoffs. Furthermore, Columbus plays much better away from the Buckeye State, sporting a plus-18 goal differential in away games while setting the franchise record for away wins (25). ALOST’s Prediction: In three games this season, Tampa Bay outscored Columbus 17-3, and there are not that many signs that point in any direction outside of more Lightning dominance. Bobrovsky, a former Vezina Trophy winner, is more than capable of stealing games in this series, but that has been the case for a few seasons now and he has yet to put together a series well enough to carry the Blue Jackets out of the first round. We say that this series turns out to be a competitive blowout: games will be tight, but almost all of them to be won by the same team. Original Six matchup. A long-standing rivalry. Classic uniforms. Fervent fan bases. What more can you ask for? If you are a Toronto Maple Leafs fan, you can ask for a playoff series victory of course, one that the Leafs have not attained since a 2004 first-round series win against the Ottawa Senators. Two of the last three playoff appearances for the Leafs have ended with first-round exits at the hands of the Bruins, including losing in a seventh game last season as well as the Leafs’ Game 7 collapse in Boston in 2013. So going into this season, Toronto hoped to make a splash that could turn the tables and reverse its playoff misfortune. The former long-time Islander signed a seven-year, $77 million dollar contract to play for the team he idolized as a kid and, after a season where he scored a career-high 47 goals, will be asked to be one of the saviors for the Leafs. Playing off of Tavares’ career year in the NHL, the Maple Leafs had one of the more powerful offenses in the league this season, ranking fourth in the league in goals per game (3.49). Auston Matthews, who was shot out of a cannon in his debut season last year, obviously will play a big role, but it might be more of the defensive end than in the offensive zone, as his improved two-way play may very well be employed to take on Boston’s powerful top line of David Pastrnak, Patrice Bergeron and Brad Marchand, arguably the best top line in the league. Matthews’ size and speed is a force to be dealt with on the offensive end, something that also could come to the team’s advantage on the back check if he is able to exert his strength and reach to disrupt the opponent’s offense. Almost a yearly tradition in Toronto, the lack of certainty in between the pipes continues to dog the franchise, and Frederik Andersen’s shaky play down the stretch has not allayed any nerves of Leafs fans going into the postseason. After 50 games this season, Andersen had a 2.56 goals against and a .924 save percentage. In his following nine games, the goals against ballooned to 3.85 while his save percentage shrank to .878. The rematch of these teams from last season’s playoffs only will serve to conjure up terrible memories for Maple Leafs fans in seeing the line of Pastrnak, Bergeron and Marchand torch the Leafs for 30 combined points (nine goals, 21 assists) in those seven games. 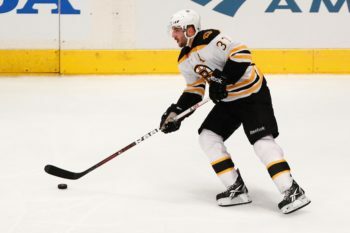 A four-time Selke Award winner for best defensive forward, Bergeron set a career-high with 79 points while Marchand produced his first 100-point season of his NHL career (36 goals, 64 assists). Pastrnak missed 16 games earlier in the season due to a thumb injury but barely skipped a beat in his return as he put up a career high in goals (38) and points (81). Yet who will start in goal for the Bruins when the series starts on Thursday is up for debate, and only a resurgence during the Bruins’ 19-game point streak (15-0-4) after the All-Star Break got Tuukka Rask back into the good graces of the coaching staff. 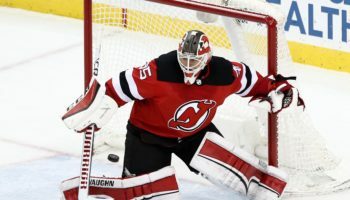 Rask won 27 games this season, but Jaroslav Halak posted a better goals against (2.34 to Rask’s 2.42) and save percentage (.922 to Rask’s .912) while posting 22 victories. Boston’s defense, once again led by the ageless Zdeno Chara, was third in the league in goals allowed per game (2.59), behind only the New York Islanders and Dallas. ALOST’s Prediction: A great offense (Toronto) goes up against a stingy defense (Boston) and, usually, many would point to the defense winning out in that scenario. We agree with that, and with Boston’s Pastrnak-Bergeron-Marchand line once again together and wreaking havoc, the Bruins should have too much for the Maple Leafs once more.